Tennis has a history of country clubs and proper white attire, but that image is old and outdated. Today you’ll find a lot of players at the local high school courts playing in t-shirts and sweats. And you’ll see that some of them are pretty good. Beginning tennis players, and those who have never played before, can get started in tennis really quick and very inexpensively. All you need are good sneakers (ones that you already have are fine), a tennis racquet (an old hand-me-down is perfect) and some balls (most tennis players will give away used balls for free). If you don’t have all of the items above to get started in tennis, check online (i.e. Craigslist or FreeCycle) or at the local schools. Tennis players are always upgrading their equipment and no longer have any need for the old stuff, some of which can be quite good. Better to help someone new to the game than let the old racquet gather dust in the garage. All decked out with tennis equipment and nowhere to play? No problem. Public courts are the best place to start, mostly because they’re free and easy to find. There’s really no reason to pay money for the country club in order to learn tennis. Yes, they offer private tennis lessons, but even that you can find at public courts. Everything you need to know about tennis you can find at the high school or local park. Drop by some weekend, prime time is 8am to 11am, and learn from the locals. You’ll meet other players and beginners who don’t belong to the country club either. It’s a great place to hang out. You can learn by just watching. Learning to play tennis, and having fun doing it, does not mean you have to go out and play like the pros. Don't even try, it will be the most frustrating experience you can have. 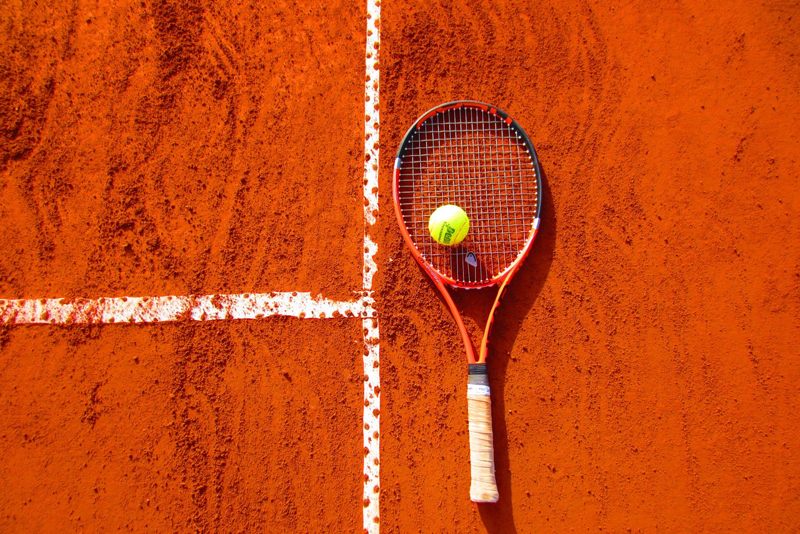 Here are some great ways to get started in tennis. Find a Wall You can hit tennis balls all day long against the wall, and most often the wall wins, but it’s a great way to learn about ball control, plus you don’t need a partner to do it. Play Half Court Once you can control the ball against a wall or backboard, you can advance out to the court, and a good way to start out is playing half court from the service line, just hitting the ball easy over the net. Fun Games Instead of worrying about keeping score or serving, just hit the ball over the net and count a point for you when the other person misses, first to 21 wins. Learning tennis can be fun and inexpensive if you make the right choices. A beginner will have no idea the difference between an old used racquet and the new fancy model that costs hundreds. Clothing doesn’t matter either, as long as what you wear is comfortable and your shoes provide good support. No more excuses! You can go out and start learning tennis today. Just do it. Content copyright © 2018 by Sandy Eggers. All rights reserved. This content was written by Sandy Eggers. If you wish to use this content in any manner, you need written permission. Contact Sandy Eggers for details. Share your news and views on Tennis in our forum: tennis fanatics of all ages and abilities are very WELCOME! Subscribe for free weekly updates from this Tennis site.